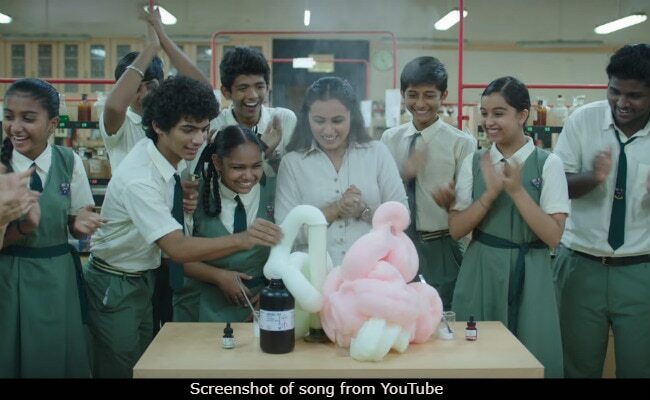 New Delhi: Naina Mathur aka Rani Mukerji is just the teacher her class needed. Khol De Par, the new song from Rani's upcoming movie Hichki will make you want to join Naina Mathur's class. Naina is responsible for teaching a mixed bunch of slum children, who appears to be considered as a group of outcast by the rest of the school. Here's when we remember Aamir Khan's dialogue from 3 Idiots - "Main apne kamzor students ka haath kabhi nahi chorta.." Naina follows the same philosophy and continues to come up with interesting learning methods. She teaches physics and maths using eggs, her chemistry experiments involve fizzy drinks and she often takes her classes in the basketball court, the corridor or even in a double decker bus. She goes out of her way to provide recreational activities for her students and takes them out for meals (wow)! At this juncture, you may have easily guessed Naina is her class' favourite teacher. But her popularity and efforts earns the displeasure of the school head, who questions her teaching techniques and the sincerity of her students. Khol De Par will indeed remind us of our fondest memories of school. Watch the song here. Khol De Par has been sung by Arijit Singh and Jasleen Royal. In Hichki, Rani Mukerji plays a woman who has Tourette Syndrome - a disorder, which leads one to make involuntary sounds and movements. In Naina's case, she utters "chuck, chuck" as she speaks.